Yup! 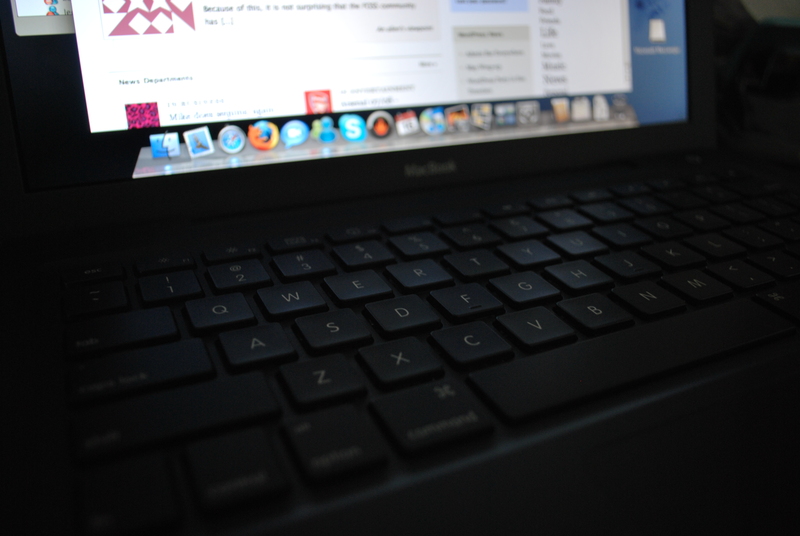 this post is dedicated to the Black MacBook that I just got! Officially I am now using Safari for web browsing, iPhoto for organizing my pictures and using MSN for Mac in instant messaging. Graphically, the layout of a Mac is much better than Windows, including the Vista. Applications wise, besides MS Office which I have not gottten, there isn’t much I am missing. Installing and downloading freeware are also much simpler, with Macs using .dmg files rather than .exe files. Just drag and drop when installing softwares makes it fun and speedy in running your apps. Got the Mac from Canada, as my brother is a student there, allowing him to get the student discount, a rebate on the iPod Touch, and a printer, essentially paying an extra $50 for both. Seems like a good deal! Apple’s products seems expensive when you compare it to a Dell, but the packaging, the usability and cool factor is there! It’s like Apples and Oranges, one’s sweet, the other sometimes sour.